We are very proud to let you know that two of our children have been invited to a presentation evening for growing one of the tallest sunflowers in Lytham. 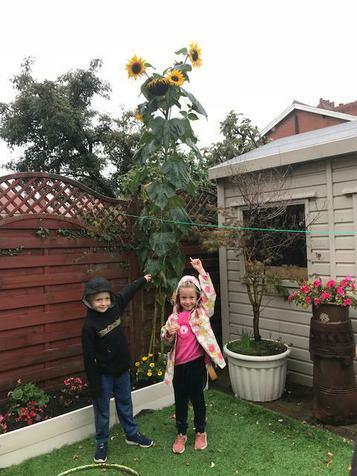 Thankfully, it survived the strong winds earlier this week and the sunflower was formally measured by Lytham in Bloom reaching an impressive 310cm. The children will be attending the presentation evening on 27th September in the presence of The High Sheriff of Lancashire along with our Year 2 Gardening Club who have also been invited to attend. We will let you know the final result next Friday.